Brownstone pattern walkway and patio stone. 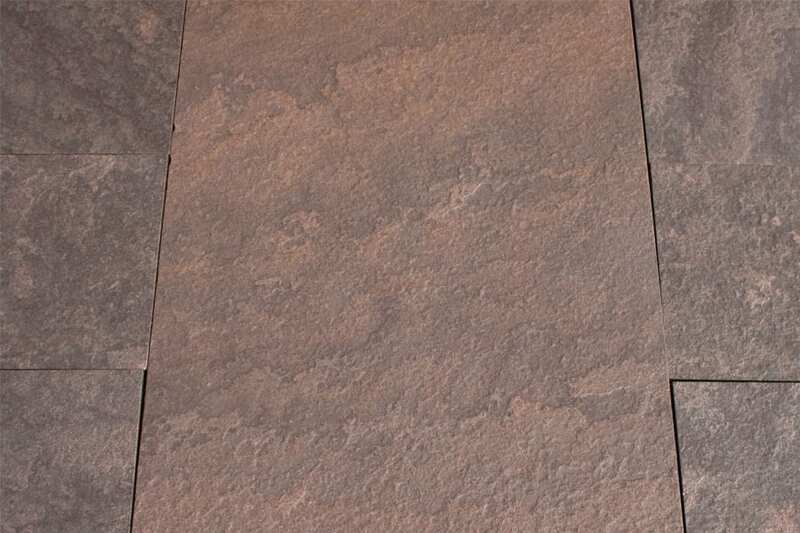 Not from the same quarry as the famous New York brownstone, but this is a light brown stone that is strikingly beautiful - especially when wet. Primarily light brown, with much deeper brown tones when wet. Accent colors can range from black to tan. Pieces are cut to exact dimensions so coverage is dependent on how much you buy. 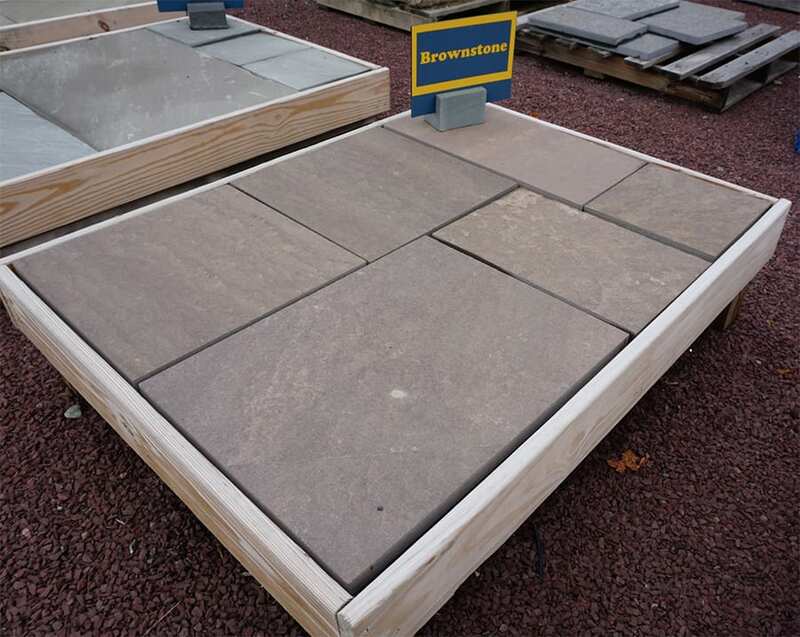 A typical pallet of 1.5" brownstone will cover an average of 180 square feet. By the pallet. Limited single pieces may be available in an open pallet in the yard, but we strongly prefer to sell this stone by the pallet. Many of us think of brownstone as a building stone used in row homes in major cities throughout the northeast, and at Wicki stone we often have reclaimed stone from some of the original brownstone quarries. This walkway and patio stone is actually imported and is a sturdy stone with wonderful brown, black and chocolate variations in the color. The color gets much deeper when the stone is wet and the variations in the accent colors become more prominent. An easy stone to work with. When dry our brownstone is reasonably light in color and the graining and color accents are easily seen. Is this original NY City brownstone?? No it is not. It is imported. Wicki Stone carries these products that match or compliment brownstone pattern walkway and patio stone.